The Trawler bug is a wonderful affliction and a great escape from being a dirt dweller. In order to help you determine the right type and size of boat you need to figure out what type of cruising you want to do, how much you can afford to spend and where you want to do your cruising. One of the first things you need to determine is how much time you can make available to go out cruising. Will this be a weekend escape? Do you only have time for a couple of weeks vacation? Are you able to make this a seasonal pursuit? 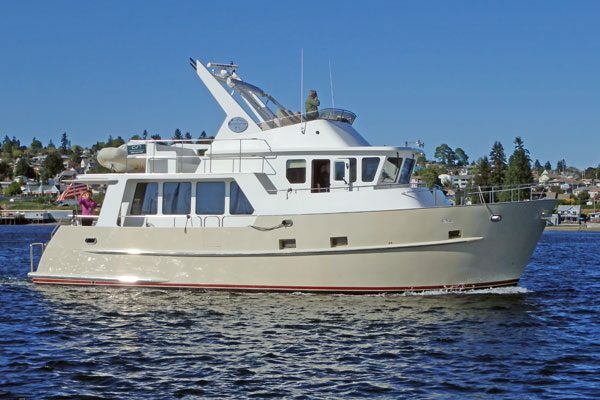 Can you cut the lines to live aboard and cruise full time? What can you afford to spend (lose)? Trawlers are depreciating assets, they rarely sell for more than what you pay for them and you will have continual expenses to maintain and improve them. 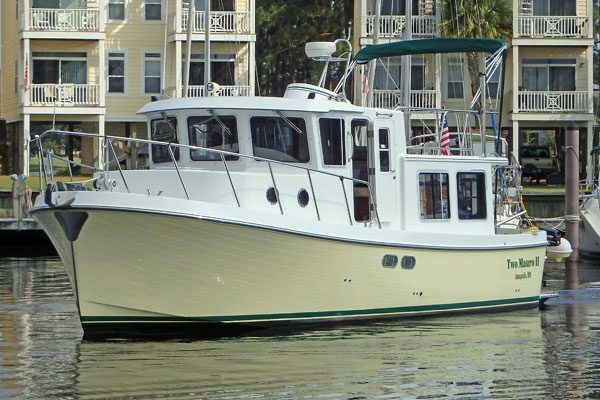 A second hand or brokerage trawler will have already taken a large bite out of the depreciation, but keep in mind that every dollar you spend is probably a dollar you will never see again. I advise my clients to view this as a reward, as the ultimate vacation where you, as an owner/operator, plan your cruising and head out to seek adventure and enjoy life on the water. Your purchase budget will need to be supplemented by your cruising kitty and simple things like anchoring out and cooking on board vs. tying up at marinas and eating out will help you keep your costs down. Who is going to be on board with you? How big of a trawler do you need? Many trawler owners are reformed sailors, savvy sailors who have grown tired of pulling strings, sitting in the cockpit and trimming sails. A solid trawler will provide all of the comforts of home and you can stay inside watching the world go by while wearing your slippers. If you have had boats before you will have a better idea of what size you need. If this is your first boat the general rule of thumb is that when you get to 70’ you start getting in to the world of captains and crew. The happiest trawler owners I know are owner/operators; they typically stay under 70’ and can not only handle the boat themselves, but can also look after and maintain their boat. Even if you can afford a larger boat realize that with a captain and crew you are essentially managing a small company, and it may even get to the point where your start wondering if you are spending all of your money to keep the crew comfortable on the boat you own. Like every major decision you have made in your life there are lots of things to consider and some risk involved. If you are a list maker and spread sheet analyst you will enjoy figuring out all of the requirements you need and the details of equipment and features that are a priority. If you have the money and have the time, do your research and take the plunge – I’ve worked with several clients over the years who kept coming up with one legitimate excuse after another to postpone their purchase, only to finally reach a time in their lives when their health and physical condition made it an impractical pursuit. Only you and your family can make the call to move forward with a purchase or wait for a better life situation, but remember, your cruising window is never really more than a limited time offer… I have yet to meet a cruiser who regretted the decision to spend time at sea.